Before Makhaya Ntini ended his career with 390 Test wickets from 101 matches, and before he became the first black African to represent South Africa in the most prestigious format of the game, he was a barefooted cattle herder in the rural Eastern Cape. On cold winter mornings, the young Ntini and his friends would keep warm in an unusual way. "We would wait for freshly dropped cow dung and sink our feet in it," Ntini reveals. "When you don't have shoes, you have to be creative." As an elite cricketer, Ntini's cattle herding days were behind him but that did not mean the "Mdingi Express" ever forgot where he came from. Along with the best cricket shoes money could buy, Ntini always kept a plastic-wrapped piece of cow dung stored away in his kit bag. "It was always the same piece of dung throughout my career and was my lucky charm that kept me grounded, I would even kiss it when I needed a little extra out on the field. "It clearly worked - just look at my stats!" That's not the only toilet-related inspiration Ntini called on in trying times. "Not many people know this, but if I struggled during a session, I would sometimes go and pee on my hands and splash it on my face," he says in a surprisingly deadpan tone. "It would revitalise me and get me going for the next spell." As he says, the stats don't lie. Cricketers haven't in the past been too concerned with calorie counting but that does not mean they did not carefully consider what they consumed. Ever since someone figured out that the number 0 resembles the shape of an egg, a batsman's failure to register a score has been known as a duck. This has resulted in certain players giving the bird a wide berth before and during a match. 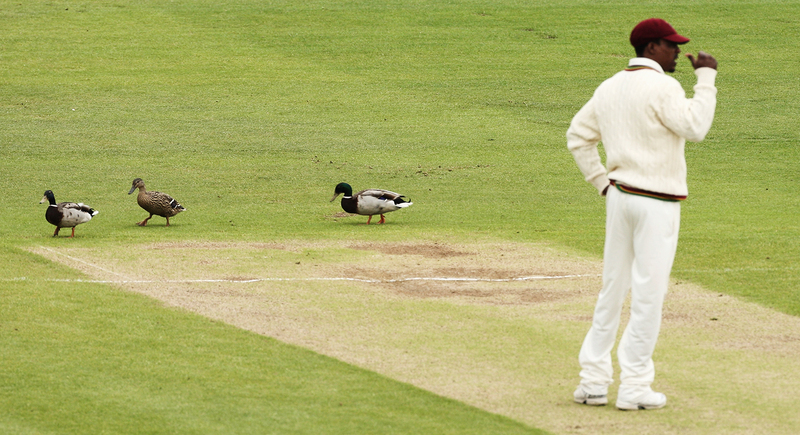 Wishing to put the theory to the test during a match against Pakistan at Lord's, England's Robin Jackman, Allan Lamb and David Gower all indulged in the bad-luck bird. 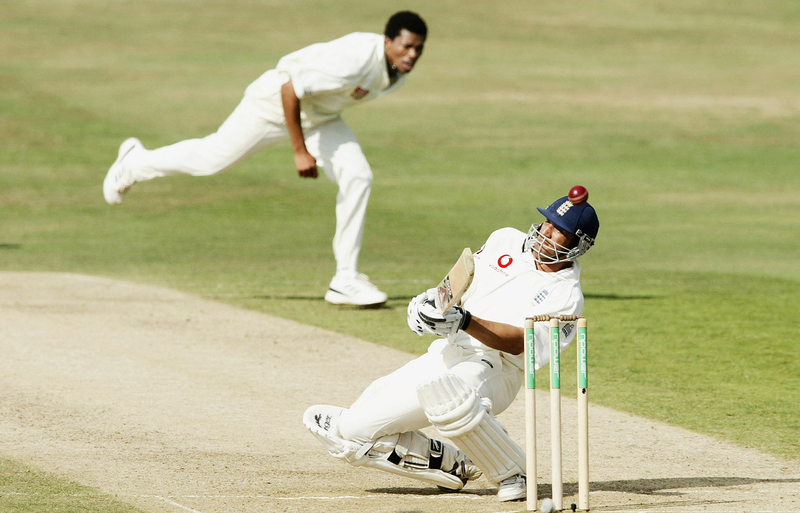 The next morning Jackman was trapped in front lbw by Imran Khan for a five-ball duck, and in the follow-on both Lamb and Gower were dismissed by Mudassar Nazar without getting off the mark. England were bundled out for 276 before Pakistan's openers knocked off the runs for a ten-wicket victory. Australia's current captain, Steven Smith, took heed of this superstition for much of his career until he inadvertently consumed the dreaded poultry ahead of the 2015 Ashes Test at Lord's. In a stroke (well, quite a few), Smith proved the narrative hollow with a dazzling 215 not out. One wonders what his pre-match meals consist of now. A batsman has around half a second to react when facing the likes of Kagiso Rabada and Mitchell Starc, so possessing lightning-quick hand-eye coordination is essential when fronting up from just 22 yards away. For some, the problem is not what they can't see but rather what they do see. In 2008 at Lord's, South Africa's Neil McKenzie (who, of course, once taped his bat to the roof of the change room with the belief that it would help replicate the run-scoring he enjoyed when his team-mates once pranked him in a similar manner) was padding up alongside his captain Graeme Smith with the task of saving the match ahead of him. Ian Bell and Kevin Pietersen had helped the home side pile on 593 for 8 declared before South Africa were bowled out for 247 in reply. Following on, the visiting openers were just about ready to go when McKenzie's gaze fell upon the double "OO" in the Gunn & Moore logo. Horrified, he stripped off all his gear, explaining to his bemused partner that he simply could not stride out to bat after such a bad omen. The pair almost didn't take the field in time and were greeted by boos when they eventually emerged from the tunnel. Clearly McKenzie knew something that his captain didn't, as both openers bagged hundreds, as did Hashim Amla, and the game was saved. We all need a security blanket from time to time, but there have been a handful of players who make like Charlie Brown's friend Linus and carry their cloth of choice with them wherever they go. Australia's belligerent captain Steve Waugh might have been as tough as they come out in the middle but he relied on the calming influence of a red handkerchief his grandmother gave him. Originally a temporary solution for excess sweat, the talismanic towel was brought out by Waugh when he was in the 60s during the fourth Ashes Test in Leeds in 1993. A further 90 unbeaten runs in a crushing innings victory was all the proof he needed of the old rag's powers and it forever became a permanent fixture in his kit bag. Waugh willingly lost his rag, well, some of it anyway, when West Indian allrounder Marlon Samuels persistently asked for a small thread off the relic in the hopes that it would carry some luck. Of course Samuels scored his first ODI ton, 108 not out against India in a series-winning knock in Vijaywada in 2002, and upon reaching the milestone, he brandished the sliver of red cloth alongside his hoisted bat. Waugh's generosity proved costly as he was dropped from the Australian ODI team, never to play in yellow again. Though he would add five more Test hundreds to his name, one wonders what heights he might have reached had he kept his cloth intact. 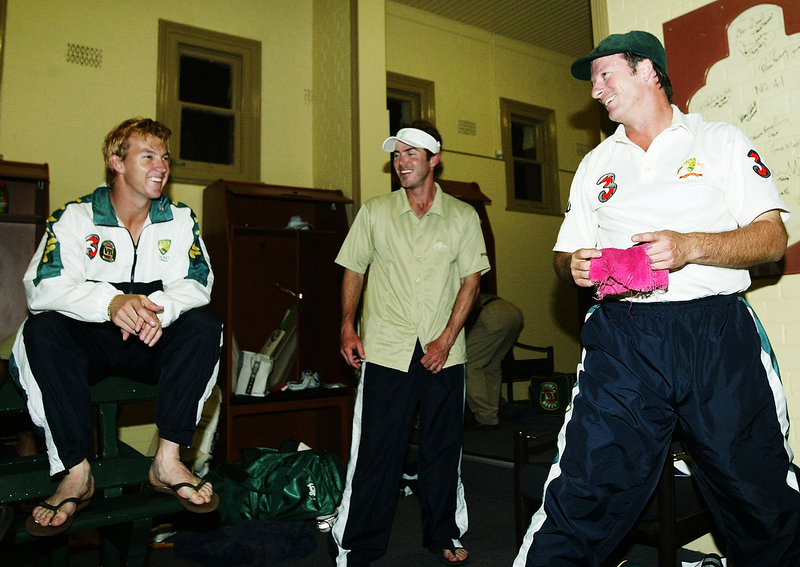 If there is one thing cricketers of all abilities can agree on, it's that the game will inevitably break your heart. Ask any opening batsman who has been dismissed in the first over of an innings or a bowler who has been forced to toil away in the baking sun for no reward. But that does not mean one can't love the game, and if you're like these Sri Lankan cricketers, you'll want to express your affection in the most overt way possible. Before Roshan Mahanama published his biography, Retired Hurt, detailing the highs and lows of his career, he was smitten with cricket. His bat received most of the attention as he would kiss the top of its handle before taking guard, in the hope that it would bring him luck. Following in his footsteps are two of Sri Lanka's most iconic players. Lasith Malinga slung 29,804 balls over 17 years of professional cricket and gave the ball a little kiss at the top of his mark before every one of them. "I have the greatest respect for the cricket ball," he once said. Mahela Jayawardene must have read the same relationship-advice column, as he too displayed his love for the game with tender smooches, regularly puckering up for his bat. Considering it helped him plunder 11,814 Test and 12,650 ODI runs, the feeling seems to have been mutual.